Italy has the a long illustrious history in wine dating back to the Roman Empire and the Ancient Greeks who planted some vineyards in Sicily and other parts of Southern Italy like; Calabria and Campania. The Romans with their far reaching Empire that stretched across Europe and into North Africa, planted vineyards in every corner of their domain, including; France, Germany, Spain, and Croatia. 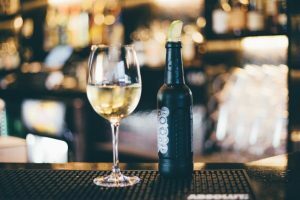 Wine is as deeply rooted into the Italian lifestyle as pizza, pasta, Prosciutto, and Parmigiano. When it comes to wine there is no country on Earth that can compare to Italy. If you look at wine maps of other major wine producing countries, you will see that vineyards are planted in just a few areas here and there as far as the entire land mass is concerned. Italy on the other hand has vines planted in the whole of the country, from Friuli in the North-East down to the toe of Calabria in the South-West and everywhere in-between, along with the large islands of Sardinia and Sicily. No matter where you go in Italy you will find grape vines growing. There is no country in the world with such a multitude of grapes being cultivated, furthermore there is no country on the planet that has the diversity in wine styles and grape varieties grown. The number of grape varieties is staggering as compared to other countries. Take the United States, France, and Australia for example, three of the top wine producing countries in the world, in terms of both quality and quantity. In Australia and the U.S. the primary grapes produced are Chardonay, Sauvignon Blanc, Merlot, Cabernet Sauvignon, Syrah, and Pinot Noir. Add to this a fair amount of Reisling and Gamay, a bit of Cabernet Franc, Pinot Bianco, Petit Verdot, and Petit Syrah and a few other varieties and you have the major grapes grown in these countries. France cultivates these varieties and more, including Muscadet, Grenache, Viognier, and Carrignan. No doubt they have a nice variety of great wine produced in France. Wines that I love, especially from the Rhone and Bordeaux but for all the wonderful wines from France they can’t come close to touching Italy in number of styles and grape varieties. Italy, for my money, is thee Worlds Best! Peidmonte and in Lombardia, but no place else in world, although it has been grown in teeny amounts in California and Virginia with mediocre results. As well as being the single grape variety that makes up the famed Barolo’s and Barbaresco’s, Nebbiolo is the grape of Gattinara, Nebbiolo d’ Alba, and several other wines of Peidmonte. Wines made of Nebbiolo are wine world stars with producers like Angelo Gaja, Aldo Conterno, Giacomo Conterno, La Spinetta, and the great Bruno Giacosa, to name just a handful of famous producers who make the legendary Barolo’s and Barbaresco’s. A few other excellent varieties that are grown in Italy and nowhere else are grapes like Ruche, Negromano, Nero d’ Avola, Ciliegielo, Monduese, and Picolit. Along with the indigenous varieties, Italy has great examples of the Big Four of the Wine World; Chardonnay, Cabernet Sauvignon, Merlot, and Syrah. With the tremendous amount of indigenous varieties along with the “Big Four” it makes for an infinite amount of styles that can be made of single varietal wines or an endless range of wines that are proprietary blends in which Italy makes by far the greatest number in the world. For any wine drinker interested in exploring the endless variety of interesting wines, with a never-ending realm of possibilities of taste and styles, they need look no further than Italy. 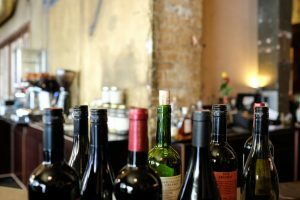 It’s the top of the ladder, but the sad fact is that for all of the hundreds of millions of people who drink wine regularly, there are just a small percentage who really delve into the great depths of all that is available. 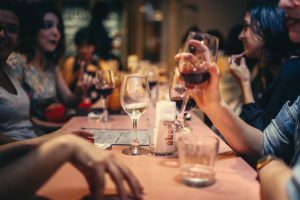 The large majority of wine drinkers keep drinking the same old things over and over, The Big Four, and if they do drink some Italian wines, most just drink Pinot Grigio, Chianti, Brunello, Amarone, Valpolicella, and little else. This great peninsula has so much to offer, it’s mind boggling, wines like; Barbera, Vermentino, Salice Salentino, Taurasi, Tocai, Aglianico d’Vulture, Greco d’ Tufo, Fiano d’ Avelino, Brachetto, Ripasso’s, Friesa, and Nero d’Avola, just to name a very few.